This entry was posted in Miscellaneous and tagged Crassostrea gigas, DNA, DNA Quantification, EtOH precipitation, NanoDrop1000, Pacific oyster, PGS, PGS1, prostaglandin synthase on 29 September, 2011 by kubu4. This entry was posted in Miscellaneous and tagged cDNA, Crassostrea gigas, gel, gel extraction, Pacific oyster, PCR, PGS, PGS1, PGS2, Ultrafree-DA on 25 August, 2011 by kubu4. 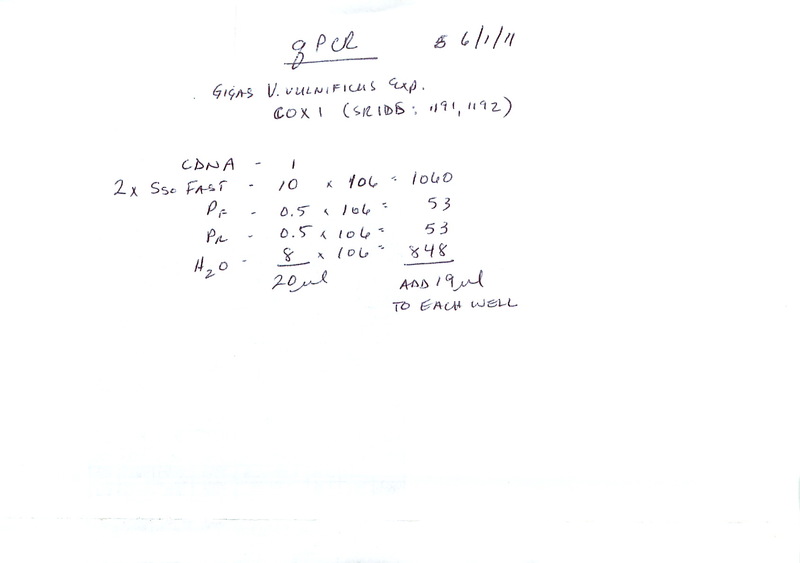 Ran a qPCR on all cDNA samples from the V.vulnificus exposure experiment from 20110111. 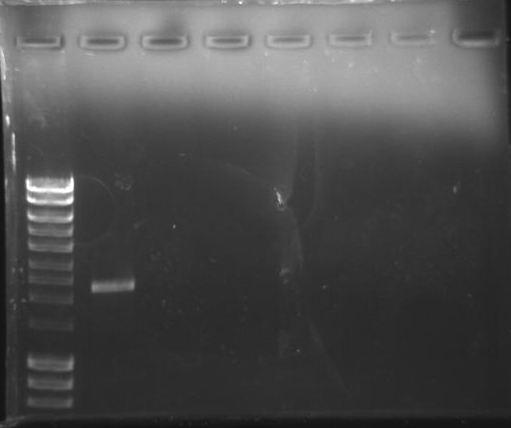 Primers used were Cg_COX1/2_qPCR_F (SR ID: 1192) & Cg_COX2_454align1_R (SR ID: 1190). Samples were run in duplicate. Master mix calcs are here. The master mix info is the same that was used earlier today, but with the primers noted above, not those listed on the calcs page. 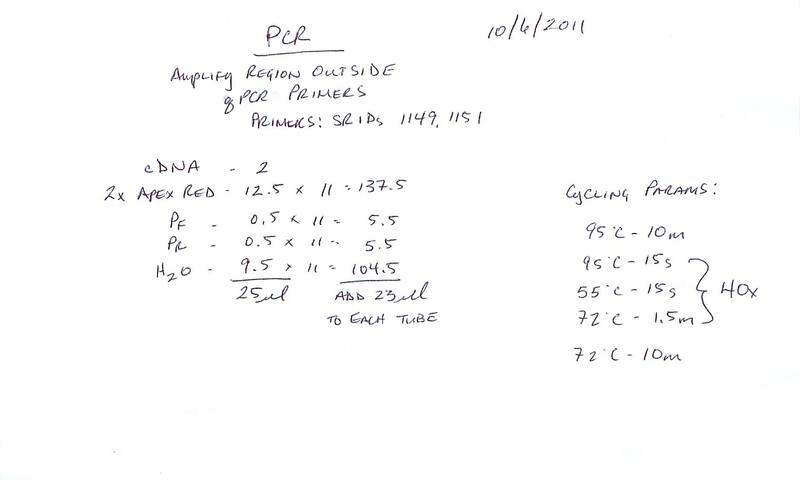 Plate layout, cycling params, etc., can be seen in the qPCR Report (see Results). Data looks good (e.g. the replicates are all very close, with the largest Cq Std. Deviation = 1.227, although this does appear to be an anomaly as the next highest Cq Std. Deviation in any of the reps is 0.633), nothing in the NTCs, & the melt curves look good. Will eventually normalize the data and then perform a complete analysis. This entry was posted in Miscellaneous and tagged cDNA, CFX96, COX, COX1, COX2, Crassostrea gigas, cyclooxygenase, Pacific oyster, PGS, PGS1, PGS2, prostaglandin synthase, qPCR, Vibrio vulnificus on 1 June, 2011 by kubu4. Ran a qPCR on all cDNA samples from the V.vulnificus exposure experiment from 20110111. 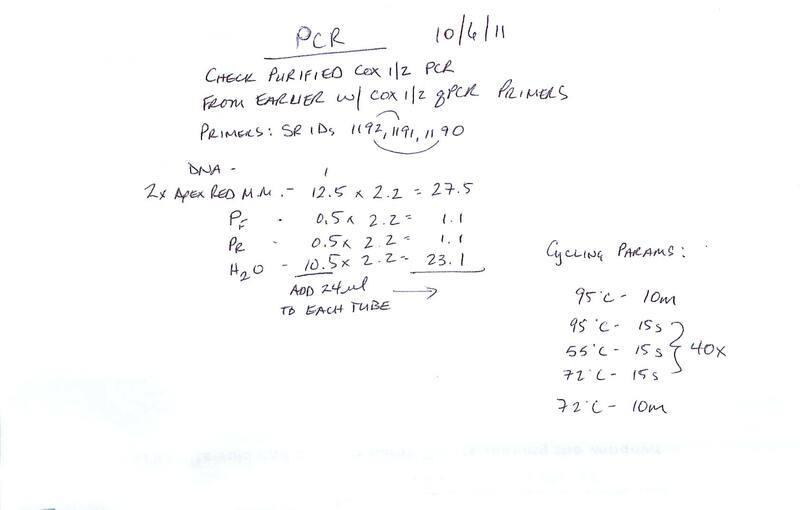 Primers used were Cg_COX1/2_qPCR_F (SR ID: 1192) & Cg_COX1_qPCR_R (SR ID: 1191). Samples were run in duplicate. Master mix calcs are here. 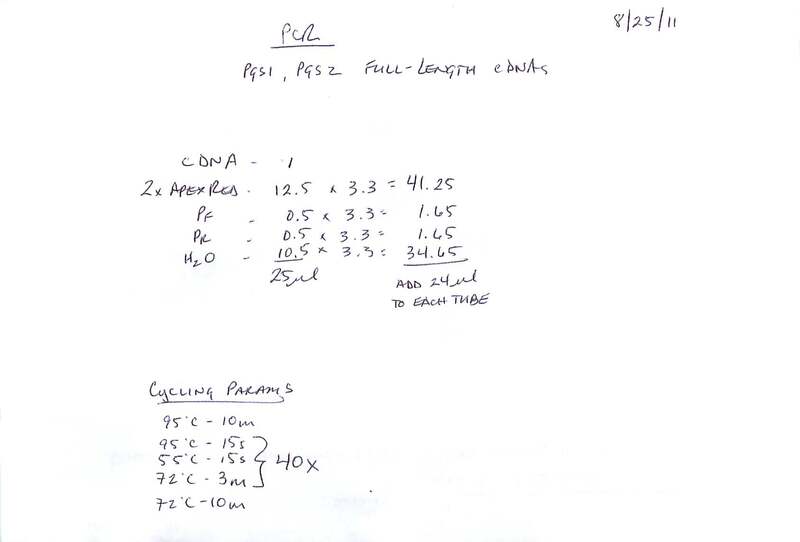 Plate layout, cycling params, etc., can be seen in the qPCR Report (see Results). Data looks good (e.g. the replicates are all very close, with the largest Cq Std. Deviation = 0.534), nothing in the NTCs, & the melt curves look good. Will eventually normalize the data and then perform a complete analysis. This entry was posted in Miscellaneous and tagged bacterial culture, COX, COX1, Crassostrea gigas, cyclooxygenase, Pacific oyster, PGS, PGS1, prostaglandin synthase on 26 April, 2011 by kubu4.